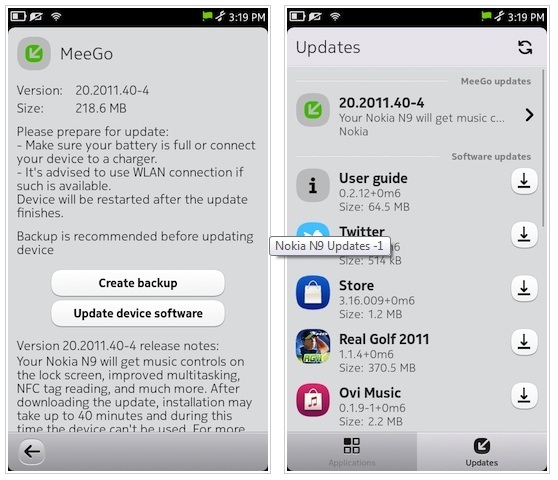 The big software update for Nokia’s MeeGo smartphone, Nokia N9, has been released to the wild. The update has started to roll out in many regions already. Note that Philippines update is not yet available and maybe some other SEA regions too, but later this week we expect the update will hit our device. From version 10.2011 to version 20, the update size is at whooping 219MB which brings new features and important changes. Nokia Store and many more. To check for update on your Nokia N9 just go to Settings>Applications>Manage Applications. The system will also notify you of available update once you’re connected in the internet. Will post the new changes once the update is available here. please post screenshots of the updated features too!